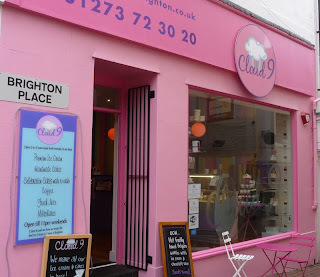 Did someone asked for the best ice creams of Brighton? Apparently I’ve found the perfect address. You maybe think that I will send you straight to Scoop & Crumb, but I largely prefer the ice creams offered by Cloud 9. Their ice creams are made with local products and the flavours are original: Oreos, peanut butter, banana, coconut or blue cheese (I didn’t try the last one). Cloud 9 is a lovely cafe located in the Lanes that you cannot miss thanks to its bright pink façade. It is very small inside so you must come early if you want to seat, otherwise you’ll have to take away your food. 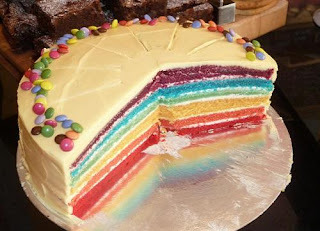 Besides the ice creams, their speciality is a rainbow cake made of vanilla sponge cake and butter cream. It is very beautiful visually but the taste is quite ordinary. 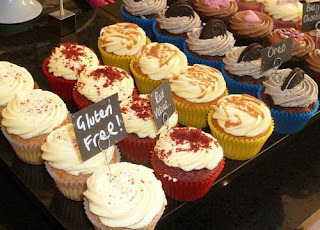 They also offer a good range of cupcakes, whether they are gluten free or not.